Does It Matter Who Moved The Cheese? The cheese is gone! Does it really matter who moved it? Or where it’s been moved to? “Who moved my cheese?” I ask. Why do I think the cheese belonged to me? The only thing that matters is that the cheese is gone and since I wasn’t the one who put it there in the first place, there is no guarantee that’s it’s coming back if all I do is wait around. Who moved my cheese? It doesn’t matter. The cheese is gone so I have to go look for more. I have to keep myself fit so when the cheese gets moved again, as it will, I am ready to move with it. In the little story, Sniff and Scurry are the simple, “inferior” beings who are quick to react to the signs around them. They are constantly in motion or ready to move. When the cheese gets moved, they can move without thinking or without too much planning. They move with pure reflex. Their attitude towards change is their biggest strength. Hem and Haw are the “superior” beings who get caught up with what they think they are entitled to because of their positions of superiority, unable to change with their circumstances because they don’t think they should have to. Their attitude towards change is their biggest weakness. Haw eventually realizes that fear of failure is worse only than the sadness of lack. Sure it’s scary to try new things. You never know what new dangers lie ahead. But it can’t be worse than sitting in poverty and need and loss. At the end of the day, it doesn’t matter Who Moved My Cheese or where it’s been moved to. All that matters is that I react to the change, keep looking for new cheese, new opportunities, and maybe someday, even grow to become the kind of person who can provide cheese for myself and others. I first read this book in my late teens. I didn’t understand it fully then. Every time I’ve reread the story, I’ve learned something new or been reminded of some weakness I need to correct. 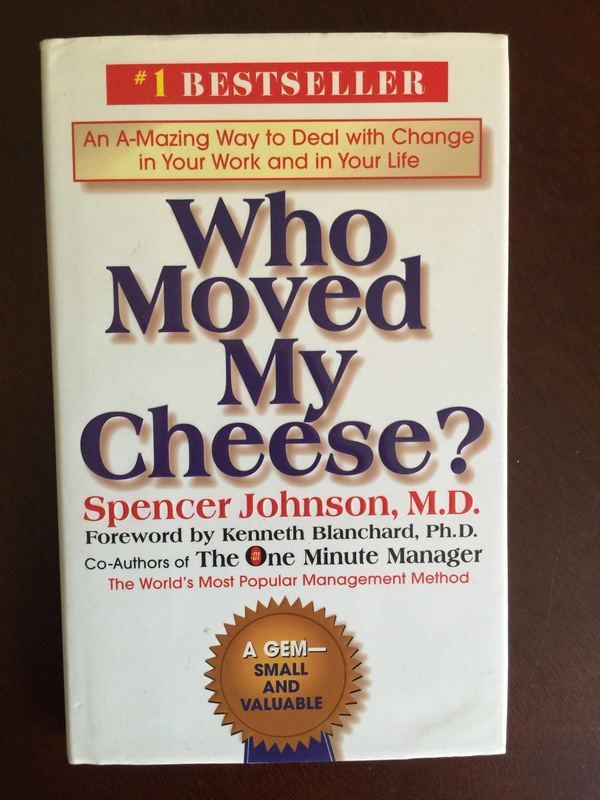 If you’ve never read Who Moved My Cheese? before, I recommend it. Great review. Who Moved My Cheese is a book I loved, we just discussed it in our book club last week! Oh great. I have read it before but each time I read it, it’s a great motivational tool.